“English is a window that allows us to see the world with a wider view” (Kyle Chandler). Cris Guerra – Writer, colunist, advertiser and blogger. Do you agree with the statement above? Probably, most of our readers do! It is no surprise! The English language is on Cris Guerra’s window and has been opening countless doors. Even though this may seem a cliché, it is the reality when it comes to the job market – the dynamic, demanding, and very competitive job market. In most companies, some skills are on the spotlight, besides being aspects of constant improvement for the employees. Communication skills is a good example. If knowing to communicate well is already a differential, can you imagine if you do that in another language? 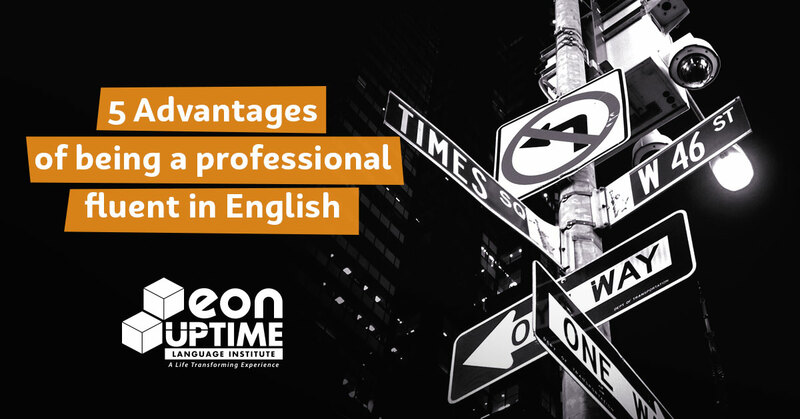 Check bellow some of the advantages, on your professional life, of being fluent in English. Would you like to work for Google? Apple? How about Uber or Microsoft? In big companies like those, being fluent is mandatory. There are offices all over the world and companies that are transforming the market, especially with technology. The candidates with the right skills need also to be fluent. Why is that? The requirements in some cases, like an opportunity as a Software Engineer at Google, is at least proficiency and skills in verbal and written communication in English. Do you have these skills? Someone fluent in English does. The progress on a globalized job market demands qualified and up to date professionals, and most of the courses and material available for learning are in English. Example: The best higher education institution on the planet, in 2015, was the MIT (Massachusetts Institute of Technology), in the USA, followed by Harvard, also in the USA and Cambridge, in the UK. Have you thought about having the name of these institutions in your curriculum? Do you know that a professional fluent in English usually has a salary 30% bigger than a professional who is not fluent? That happens because in most cases people fluent in English get better opportunities and chances of growing to leadership positions and have better chances to be involved in bigger projects, inside and outside their companies. Find your place in the sun! The professional fluent in English have bigger stability because in general is a professional in a leadership position and brings to the company international experiences, courses abroad and new project opportunities. If the employer or employee still doesn’t have any international project or partnership, the professional who is fluent in another language can be the bridge and open doors for his workplace and his career. You have probably seen some job offer with a big salary, great benefit and that are available because it is difficult to find qualified professionals. Being fluent in English gives you better chances to get those jobs, since there are many possibilities and countries to work in. Australia and Canada, for example, always offer this kind of job. What about you? Needs to work on your English fluency? Check our options here.